The default IP address of the device is 192.168.1.199. If your LAN IP mask is different, you need one time access to network 192.168.1.x to change default setting of KMTronic. Open a browser and type 192.168.1.199. The default user is admin with password admin. In “Configuration” menu you can change default IP Address, Gateway and HTTP Port. For the integration with Control4, the device must have a fixed IP address. Please, set it on the device or in your DHCP server setting. In “Authorization Configuration” you can change username name and password for device authentication. They will be required during the Driver configuration, so write them down. 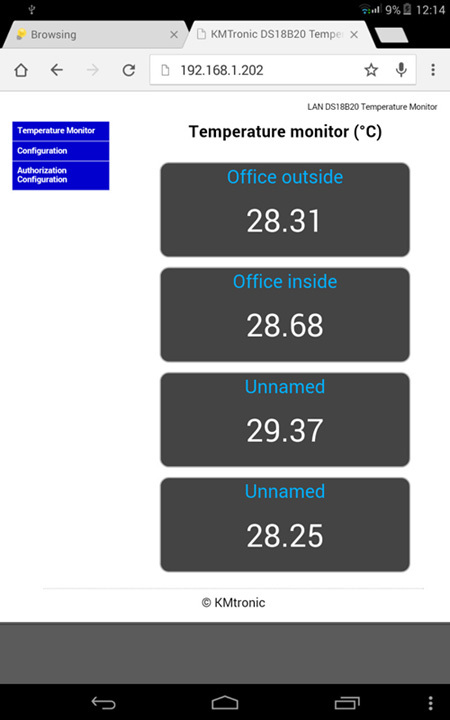 Verify on web page of Temperature Monitor if your sensors work. ·	KMTronic IP: device IP you set in the previous step. ·	KMTronic Port: device HTTP Port if you changed it. ·	KMTronic User & KMTronic Password: the one you use to access to the device from a browser (web interface). ·	Polling minutess: select the frequency you want to update Control4 about the change of sensors status. ·	Calibrate sensor: you can calibrate your sensor here. ·	License code: copy & paste here the license code obtained during the license buying process. 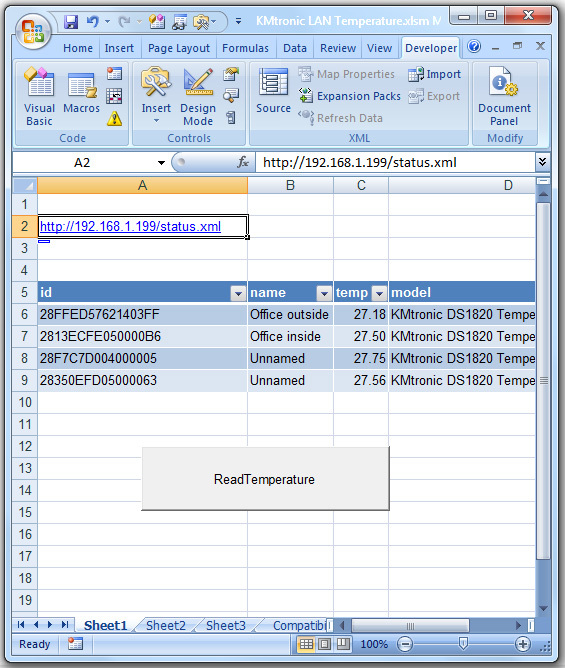 You simply have to create new connections with Temperature Input. Have fun with our Made in Italy, Homemade Organic Drivers! 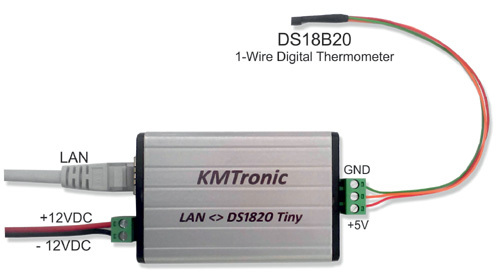 The DS18B20 digital thermometer provides 12-bit Celsius temperature measurements and has an alarm function with nonvolatile user-programmable upper and lower trigger points.